I have a special interest in ensuring that marketers and communicators of all kinds have the tools they need to not just change the world for the better by developing conscious brands, but to also ensure they are living their best, most healthy and fulfilling life while doing it. If you’re interested in attending a seminar or workshop on this subject, please email and let me know which city and country you’re in, and I’ll let you know when there’s the potential for a seminar in your area. I’d also love to hear about specific issues you’d personally like to see explored in seminars on this subject. 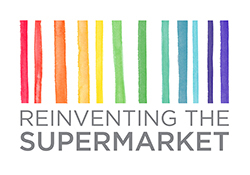 Copyright © 2015-2016 Reinventing the Supermarket This website is here to encourage the free exchange of ideas and content is based upon the opinions, knowledge and insight of Melody Pattison Mehta. This website is not designed to replace a relationship with a qualified health care professional and its content must not be construed as medical advice.